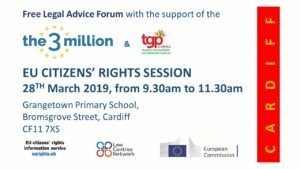 With TGP Cymru’s Travelling Ahead project, the 3Million organisation is organising these two free EU Settlement Scheme information sessions in Cardiff ( morning) and then Newport ( afternoon) on Thursday 28th March. 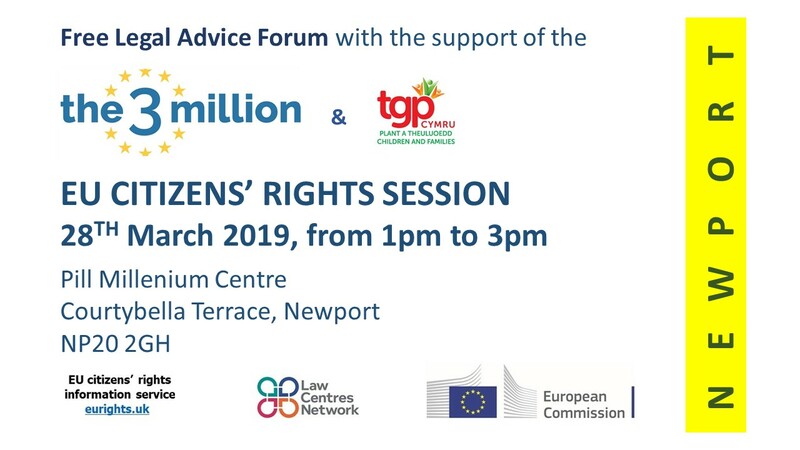 Please pass this information throughout your networks of people within and connected with the EU Roma communities in order for as many people as possible to attend. 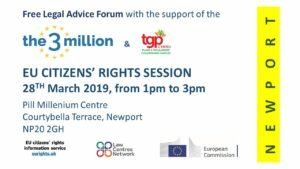 Many thanks for your support on this. 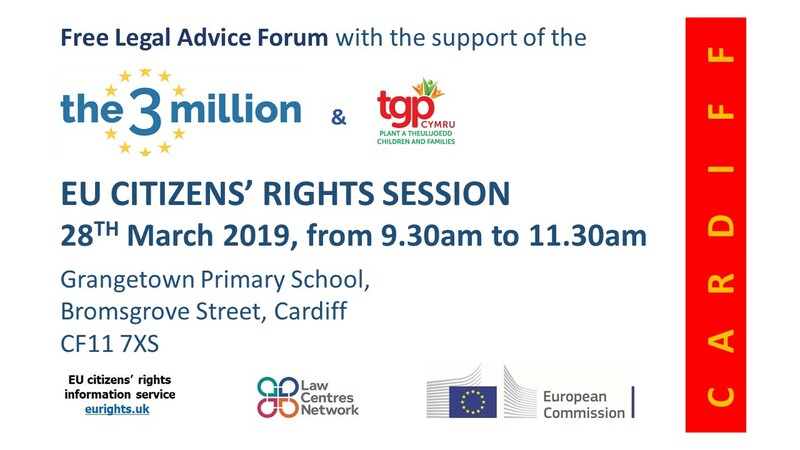 Here is the EventBrite link: www.eventbrite.co.uk/e/eu-citizens-rights-info-session-newport-tickets-59111258365 – if people don’t have the chance to sign up here, they can still attend the sessions – just show up!